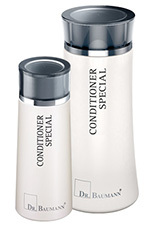 Detangles the hair and the D-panthenol and other applicable active ingredients give the hair a healthy, silky sheen. The macadamia nut oil has an intensely nourishing effect on the hair as well as the scalp, without weighing the hair down. Also recommended for conditioning pets’ fur.